After around 4 and a half years of inactivity, a new Kupfer (quick launcher) version was released 3 days ago, followed by 3 more releases since then. The application has a new developer who ported the application to Python 3, GTK 3 and GObject Introspection, while also fixing various bugs. The new Kupfer v300 (and newer) is currently considered a preview release, and it may have bugs and plugins that don't work. 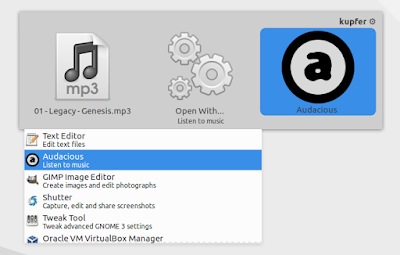 Applications plugin: Add MATE as alternative. More changes are planned, including adding a MPRIS plugin instead of per-app plugins (such as the Audacious plugin) to control music players, more Tracker integration such as full text search, or include more Thunar operations. 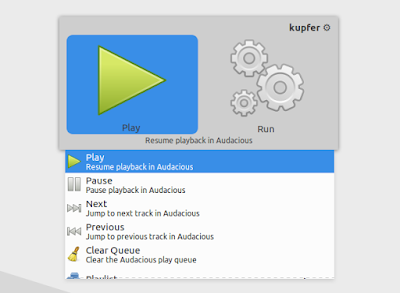 Due to Kupfer using GTK3 now, it's broken with some themes. In my test, it worked without any issues with the default Ubuntu theme (Ambiance), Greybird, as well as the default GNOME theme (Adwaita), but some third-party themes like Adapta or Numix display the icon / text out of place. Another Kupfer v30x issue is its AppIndicator not working in Ubuntu (the tray works in desktop environments that support that though) - I reported the bug HERE. Update: the theming, as well as the AppIndicator issues have been fixed. Update 2: I encountered a bug which I somehow initially missed. 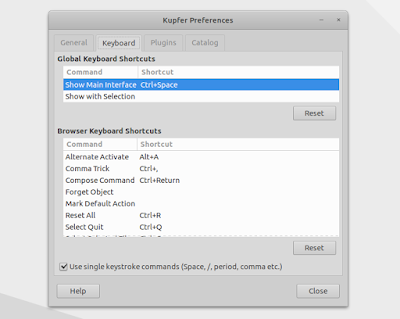 Kupfer v30x only shows up on the first monitor it's ran, in a multi-monitor setup, at least for GTK 3.20. 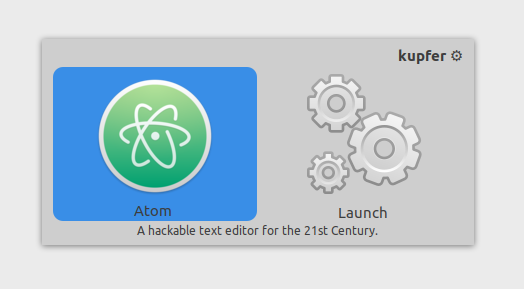 This most probably doesn't occur with GTK 3.22. 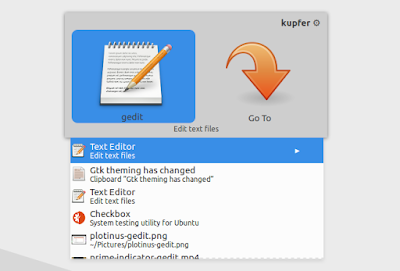 It's also important to mention that Kupfer v30x requires some pretty new dependencies and for that reason, it won't work properly on relatively old Linux distributions, like Ubuntu 16.04 / Linux Mint 18.x (which is based on Ubuntu 16.04). Kupfer is a simple and flexible quick launcher. Using it, you can quickly access application, documents and more. The application is very 'snappy' which is especially important in a quick launcher. To use it, simply press Ctrl + Space and type the application you want to launch, file you're looking for, and so on. Obviously, Kupfer needs to be running for this to work (it includes an option to start automatically on login). 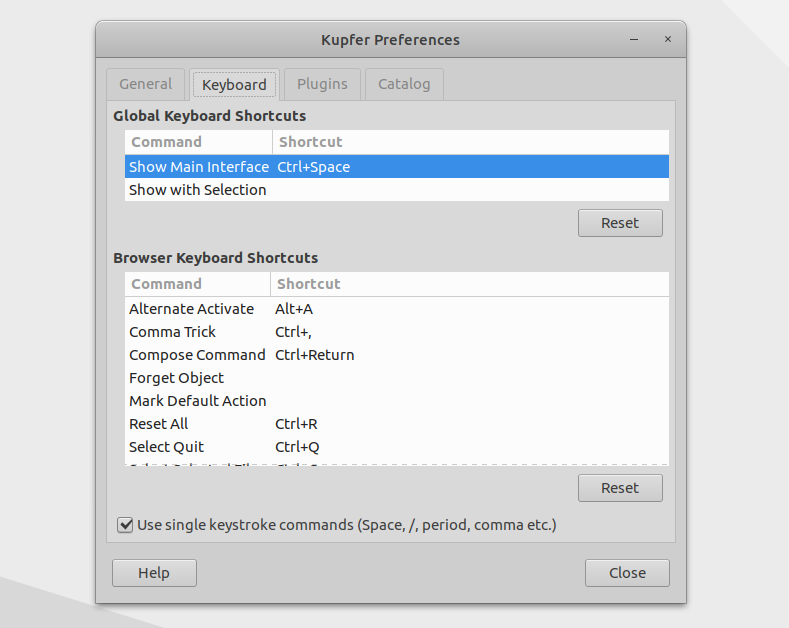 Also, make sure Ctrl + Space is not already used by another application, or change this keyboard shortcut from the Kupfer preferences. If the first result is not what you're looking for, press the down arrow (↓) key for a list of search results. To choose a different action, search for what you're looking for, then press TAB and then the down arrow (↓) keys. Important: Kupfer v30x is not considered stable and you may encounter bugs. Also, my packaging (based on the original Kupfer packaging) may also require further tweaking, as I couldn't find a list of dependencies required by the Kupfer plugins. 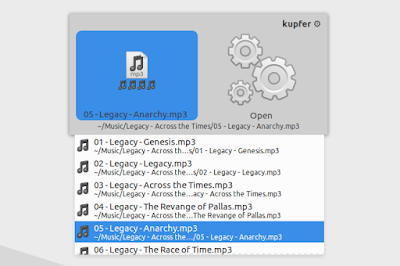 To make it easy to install the latest Kupfer v30x, I uploaded it to a new PPA, for Ubuntu 16.10 and 17.04 (like I said, it doesn't work properly on older Ubuntu versions). I used a new PPA so it's easy to purge it in case you want to go back to the Kupfer version from the official Ubuntu repositories, without missing out on other packages. 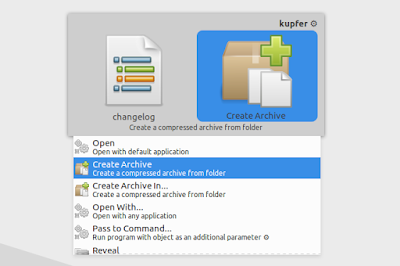 Arch Linux users can install the latest Kupfer v30x via AUR. To report bugs, download the source code, etc., see the Kupfer GitHub page.